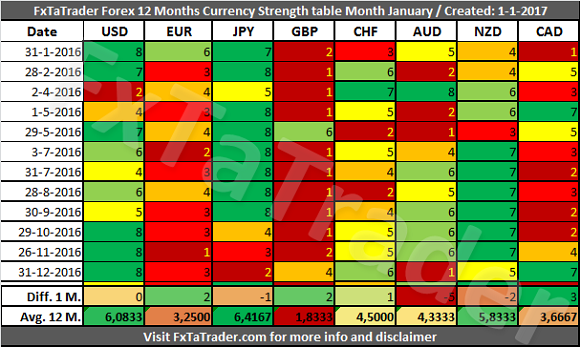 In the Currency Strength table the USD was again the strongest currency for the third month while the AUD was the weakest. The AUD made a dive last month from 6 to 1 and is this month in the range of the Weak currencies. 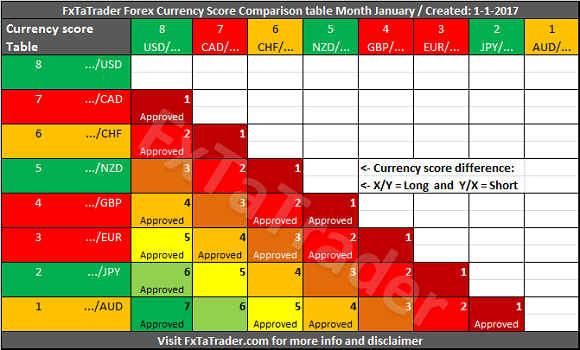 The CAD increased from 4 to 7 points being now in the range of the Strong currencies. All the Currencies remained around the level of the previous week with a maximum difference of 2 points. All the currencies are within their classification when using the Avg. 12 M. Although the JPY is in a dip for the second month this does not have any effect on the Avg. 12 months Currency Score. The JPY remains the strongest currency in this overview. All the Weak currencies are bouncing from the lows and the CAD is the strongest one. As can be seen in the chart below this currency had in the past several attempts to break out of the lower range but it did not succeed. The CAD was in the last 12 months almost always in the range of the Neutral and Weak currencies. 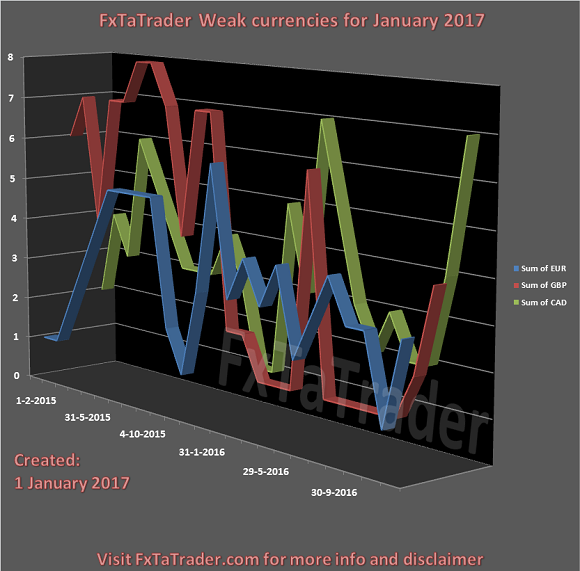 If the currency remains strong in the coming period and the Average 12 Months has a value similar to the AUD and CHF it may become a Neutral currency. The short rally of the EUR and GBP in the last months is of low significance when looking at a longer period.